The Union Territory of Lakshadweep is spread across 32 square kilometer area in the Arabian Sea and consists of 10 inhabited islands, 17 uninhabited islands, three reefs and six submerged sandbanks having a population of 64,473 as per the 2011 census. New Delhi: It is a story of an Indian island facing an alarming situation of depleting level of “very scarce” ground water with its villagers knocking on the doors of the National Green Tribunal (NGT) for its urgent intervention to protect their land and future generations. The NGT, after perusing the ‘SOS’ letter written by the villagers of Dweep panchayat of Kavaratti in Union Territory of Lakshadweep, swung into action and directed the district collector there and Central Ground Water Authority (CGWA) to submit their reports on the issues. 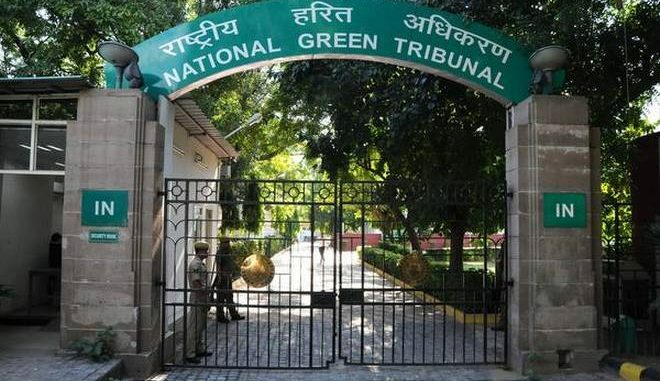 A three-member bench of the NGT, headed by Justice Raghuvendra S Rathore, also appointed advocate Sumeer Sodhi as an amicus curiae to assist it in the matter. In their reports, the authorities conceded that the fragile fresh water resources may be lost forever if immediate efforts to regulate their use and conserve rainwater are not taken. The Union Territory of Lakshadweep is spread across 32 square kilometer area in the Arabian Sea and consists of 10 inhabited islands, 17 uninhabited islands, three reefs and six submerged sandbanks having a population of 64,473 as per the 2011 census. The coral islands are located about 400 km from the southern tip of the Indian peninsula. It has a population density of 2,013 persons per square kilometer as per the census. Following the NGT’s directive, the district collector of Lakshadweep has submitted a status report before the green panel and has said that all steps would be taken by the administration for preservation and management of precious ground water in the islands. He has said that the Ministry of Water Resources has asked the Union Territory for adoption of Modal Groundwater (Sustainable Management) Act 2016 and the UT administration has submitted its comments to the ministry of water resources. “In Lakshadweep islands, fresh water occurs as lenses floating over saline water. If proper regulatory measures are not adopted, the fragile resources may be lost forever,” the report said and suggested some measures like discouraging high capacity electric motors, adoption of rainwater harvesting and avoiding wastage of water. Similarly, the Central Ground Water Authority has also given its report on the status of ground water level there. “Rainwater harvesting and desalinization of sea water are the best alternatives of fresh water. Ground water is the only fresh water resource available in the islands and it is also very scarce. Hence, all this resource has to be reserved for domestic use only,” the authority has said. In their letter addressed to NGT chairperson Justice Adarsh Kumar Goel, the villagers have said that their islands have a delicate ecosystem with very limited fresh potable water resources. “In the circumstances, we humbly request to chairman of National Green Tribunal kindly take immediate action to protect our land and water and also preserve it for our future generations,” it said. The villagers said though the islands receive high rainfall, the lack of surface storage capacity and the limited groundwater storage capacity make fresh water a precious commodity. The letter, written on July 24, also said that there were no surface water bodies such as streams and rivers in Lakshadweep and a limited quantity of groundwater was available for utilisation of local people. It said that the water requirements for drinking and domestic uses was on the rise due to increase in population. “Southwest monsoon is the rainy season. The average rainfall is 1640 mm and the rainfall infiltrates into the ground and small portion goes to recharge the groundwater and the major portion is lost as subsurface run off and as potential evaporation losses,” it said. The letter said that the depth from the surface to the groundwater table is generally just a few metres. Based on this – Kavaratti, Agathi, Amini, Androth and Kilthan islands have been categorized as ‘semi-critical’ whereas the remaining islands have been categorised ‘safe’,” it said. Noting that the biggest misuse of water in the island is the excessive pumping of groundwater, the villagers said that in recent years use of high power pumps mostly of 1HP capacity has become common. “The pumping of groundwater should be regulated and more attention should be given towards researching our ground water pumping because the groundwater pumping is not scientific method in many places at Kavaratti islands. Here pumping more water from the ground then the sustainable (more than is being refilled by nature),” the letter further said. The villagers said that though an RO plant is also running here but the disadvantage of the RO plant is that they remove most of the minerals from the water which are essential to the human body and cause mineral deficiency in the human body. “Approximately much more water compared to filtered out water is flushed down as waste water and also RO plant water purifier consumes much more electricity,” they said. The letter said that the availability of fresh water in the islands is limited and if the wastage goes on, then there will be no water to grow food and the ground water sources will dry up. The case is now listed for December 11.